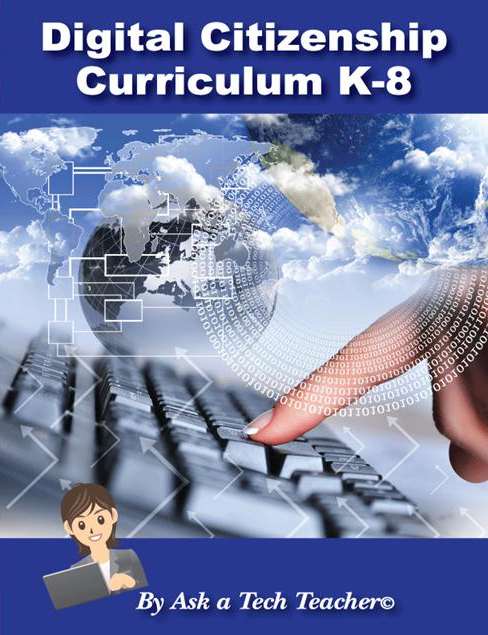 The choice of hundreds of school districts, private schools and homeschoolers around the world and tens of thousands of students, this nine-volume tech ed curriculum is the all-in-one solution to running an effective, efficient, and fun technology program for kindergarten-eighth grade (each grade level textbook sold separately) whether you are the lab specialist, IT coordinator, or classroom teacher. 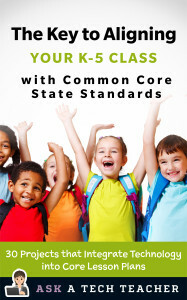 Each lesson is aligned with both Common Core State Standards* and National Educational Technology Standards, and includes an Essential Question, Big Idea, suggested Assessments, required materials, vocabulary, problem solving, teacher preparation required, how to extend learning, examples, grading rubrics, additional resources, and how students can collaborate/share projects. Using a tested approach that promotes literacy, critical thinking, problem-solving, and decision-making, students learn the technology required to prepare for their future. The secret for you, as teacher, is knowing what to teach and when. Each textbook is 212-252 pages with 218-301 images. Each text includes a K-6 or 6-8 wide-ranging Scope and Sequence, 32 weekly lessons, monthly homework (3rd-8th only), student Certificate of Completion, articles that address tech pedagogy, and posters ready to print and hang on your walls. With your purchase, you receive FREE access to a wealth of online resources including hundreds of teacher materials that differentiate instruction, websites that extend learning, and free help from professionals using the curriculum (membership included with purchase). Student workbooks extra. 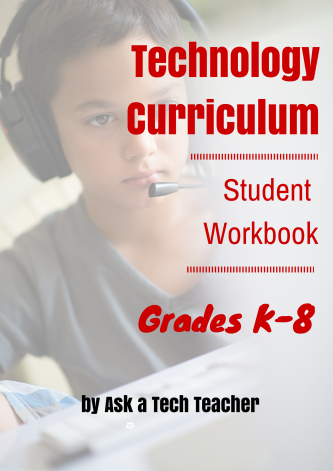 9 grade-level technology curriculum student workbooks (kindergarten through 8th grade–grades K-2 not yet available) with teacher manuals (see Technology Curriculum above) and teacher videos. Aligned with the Structured Learning K-8 technology curriculum (which is aligned with Common Core and ISTE)–one ebook per grade level. Each ebook is 148-203 pages, with 251-406 images. 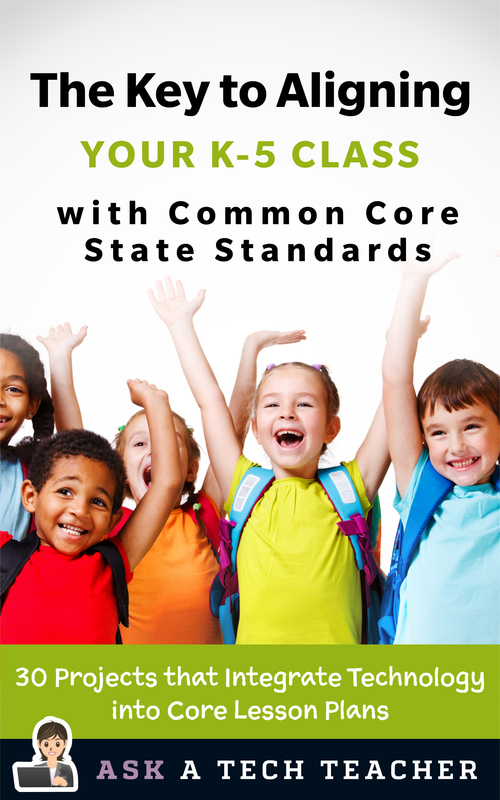 This is a student-paced, student-directed course that integrates with any school curriculum and prepares students for end-of-year Common Core testing. Not available individually–only available as a room, site or District license. 6 grades 238 pages, 7 unique assessments, 5 templates, over 100 images. Common Core-compliant, the Ultimate Guide to Keyboarding: K-5 prepares students for the demands of a tech-infused classroom. It is designed to be taught in the computer lab or as a shared responsibility–multiple teachers reinforce keyboarding skills. 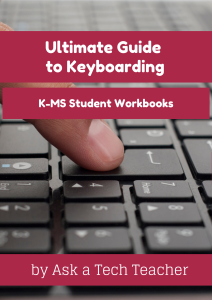 Here’s what you get:..
a comprehensive approach to teaching keyboarding–lots of detail, numerous illustrations so it’s easily understood even by teachers who don’t teach tech for a living. Rich in detail so everyone can understand it. can be used with or without optional student workbooks and videos. All three products are fully aligned so students and teacher are at the same point any moment in time. 3 grades 73 pages, 7 unique assessments, 5 templates, 40 images. 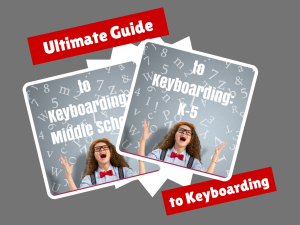 Common Core-compliant, the Ultimate Guide to Keyboarding in the Classroom: Middle School (digital delivery only) prepares students for the demands of a tech-infused classroom. 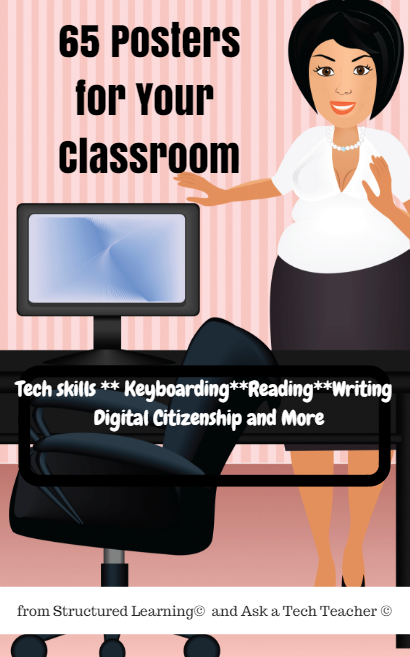 It is designed to be taught in the computer lab or as a shared responsibility–multiple teachers reinforce keyboarding skills. Here’s what you get:..
7 grade-level student keyboard workbooks (kindergarten through Middle School) to accompany teacher two-volume Ultimate Guide to Keyboarding. One for each grade K-Middle School, delivered digitally, to enable students to self-pace, self-manage their year-long keyboarding journey from wherever they are. Each is about 80 pages long with 40-50 illustrations. Background material right there. If student wants to remember what they did a week–a month–ago, it’s right there. Workbook goes with the student. It’s licensed to them through the school. If they’re in the library, the classroom, the soccer field, they can practice. Even at home. These workbooks encourage independence in student keyboarding learning and require only nominal direction from a teacher, homeschooling parent, or another adult. These are perfect if keyboarding is taught across classes at your school—not in the tech lab–or taught in a home environment. associated teacher Ultimate Guide to Keyboarding–year-long curriculum, aligned with workbooks. Allows teacher to guide students in their independent learning. 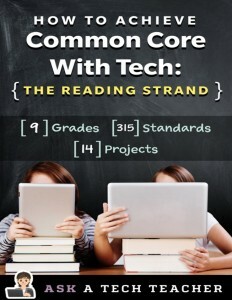 Common Core–Lesson Plans organized by strand: How to Achieve Common Core with Tech is a five-book series that focuses on using technology to meet Common Core standards in Language, Writing, Reading, Speaking/Listening, and Math. Throughout the 150+-page Common Core roadmap to educational reform, it’s clear the 21st Century learner requires technologic proficiency—digital dexterity to fuel the ‘college and career’ engine. One example: Common Core assessments will be completed online—only possible if students use technology as comfortably as paper and pencil to demonstrate knowledge. To accomplish this requires a seamless integration of technology into classroom curricula. This series makes that happen. You see how to use computers, websites, tablets, graphic art, infographics, web widgets to scaffold what you already teach–easy-to-understand tech tools, no more complicated than the iPads and manipulatives you already use. 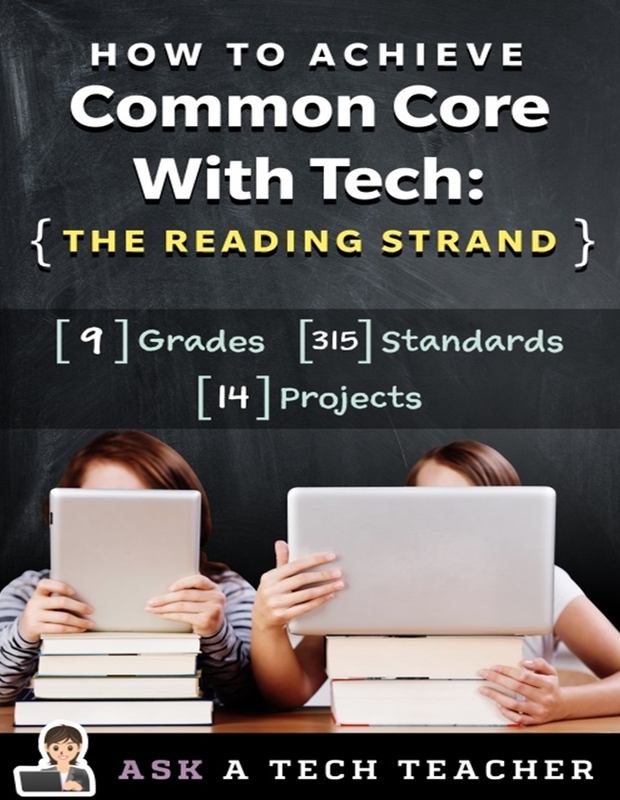 30 Technology Projects Aligned With Common Core State Standards is for classroom teachers, technology integration specialists and lab professionals, as a resource for aligning their technology program with the Common Core State Standards now implemented in forty-six states. You will find it a foundational tool for scaffolding technology into the areas of math, language, reading, writing, speaking and listening as is required in CCSS. Overall, they are authentic approaches to student-centered learning, asking the student to be a risk-taker in his/her educational goals and the teacher to act as guide. The essential questions are open-ended and conversations organic and inquiry-driven, ultimately asking students to take responsibility for the process of their own learning. 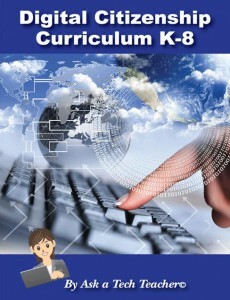 It can be used as a resource book, to provide exciting new lessons that seamlessly blend technology with lesson plans and involve students in the many new tools available to enrich their educational experiences, or a road map, plotting the vertical planning and differentiated instruction fundamental to CCSS goals. A year-long curriculum that covers everything you need to discuss on internet safety and efficiency. 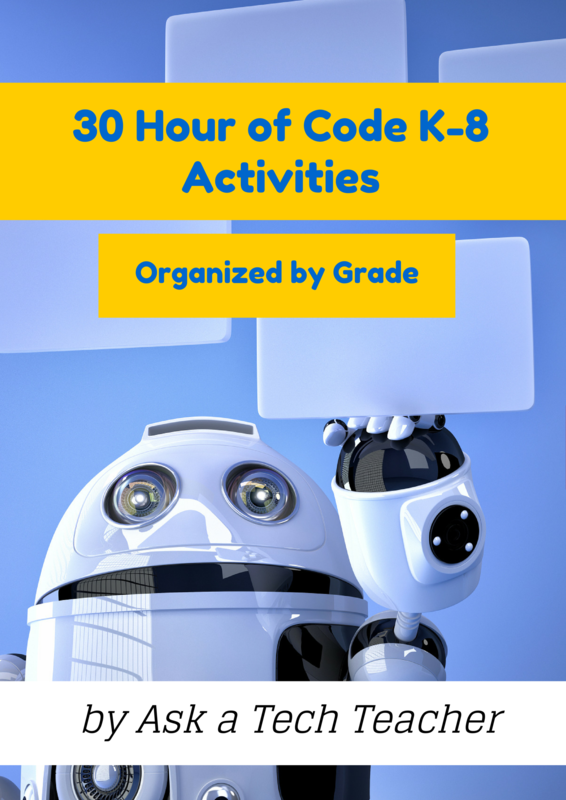 Topics include STEM, Hour of Code, specific software, writing, keyboarding, Google Earth, Common Core, art, science, and more. 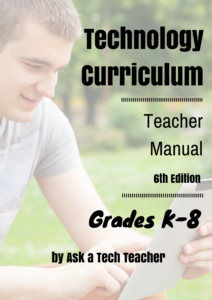 Four to eight technology-specific step-by-step lessons, including reproducibles, grading rubrics, sample projects, extensions for advanced students and troubleshooting tips. Age-appropriate lesson plans that scaffold on each other for your Hour of Code coding/programming activities. The question we get often from teachers—both new and seasoned—is: How do you teach technology skills (i.e., the use of foundational programs like word processing and keyboarding) while integrating it into classroom units AND keeping student interest? With the right resources, that’s easy. We’ve put thirty-five of them together in this book for you. 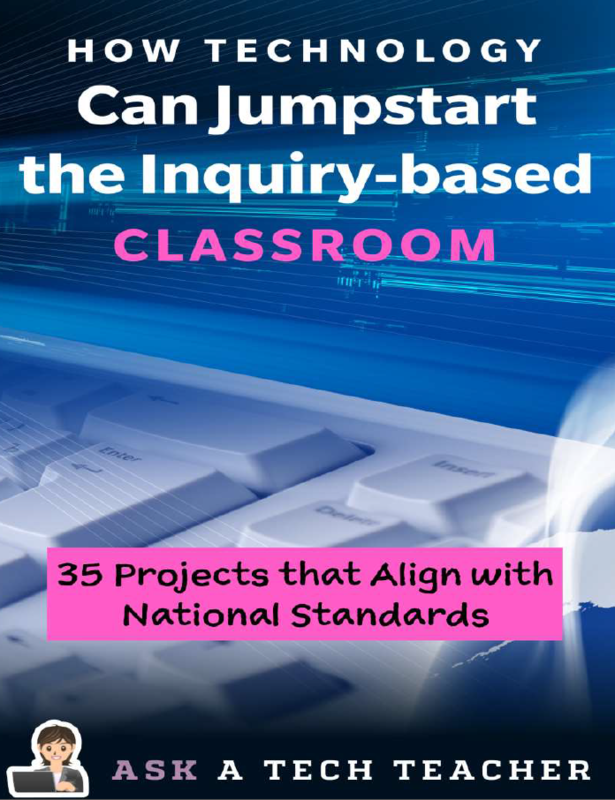 Each of the K-6 lessons in this book, How Technology Can Jumpstart the Inquiry-based Classed: 35 Projects That Align with National Standards, includes practical strategies for integrating technology authentically into core classroom lessons. They are easily adapted to any number of subjects be they science, literature, history, math, reading, writing, critical thinking, or another. The focus is on easy-to-use online tools (with some exceptions) that are quick to teach, inquiry-driven, intuitive, and free. You introduce the tool, demonstrate the project, answer clarifying questions, and let students’ curiosity loose. 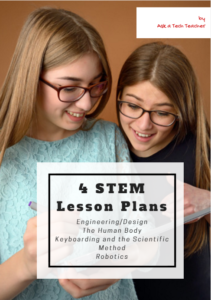 You may think it impossible to find a keyboarding curriculum that creates accomplished typists from the skimpy forty-five minutes a week you can devote to keyboarding. You teach what you can, but it always seems to be the same lessons—hands on home row, good posture, eyes on the copy. You wonder if it’s making a difference. Every year, you promise it will go better and then it doesn’t. You’re thinking of giving up. You have lots of friends who hunt-and-peck as adults and are doing fine. Does it even matter if students learn to touch type? Yes, it matters, and there is a way. It requires a plan, faithfully executed, with your eye relentlessly on the goal, but if you commit to that, it works. 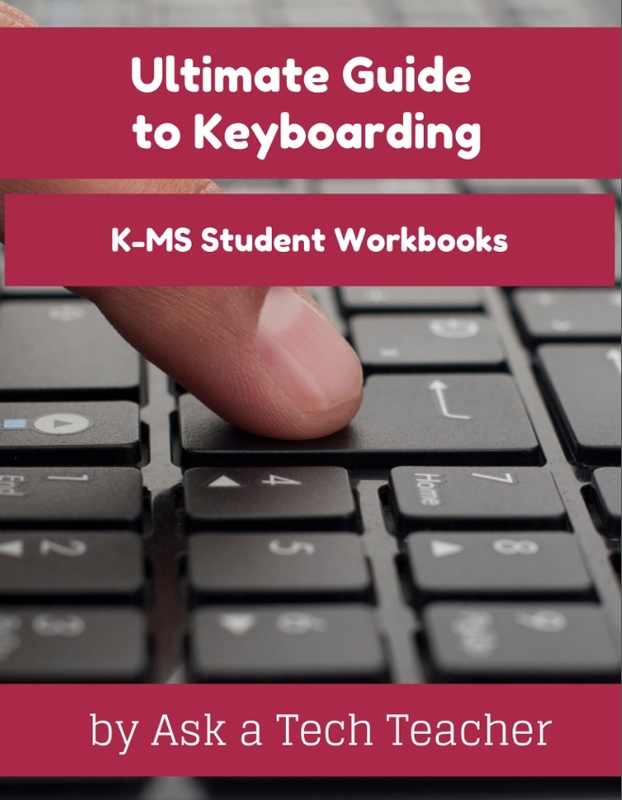 In this book, The Essential Guide to Teaching Keyboarding in 45 Minutes a Week: a K-8 Curriculum, I’ll share a keyboarding curriculum for K-8 that I’ve seen work on thousands of students. You’ll find directions on what to do, how and when. Consider this the keyboarding version of Strunk and White’s Elements of Style—everything you need in a short 110 (give or take) pages. 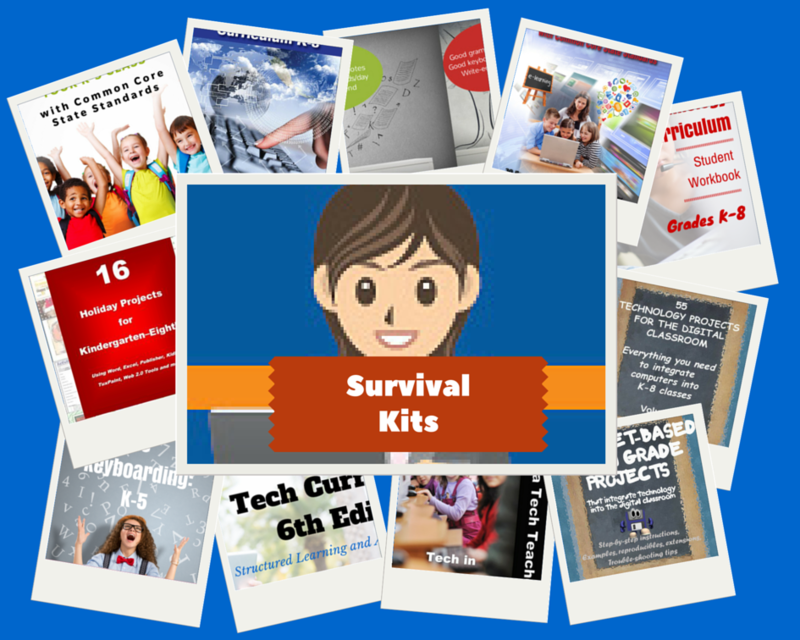 The all-in-one K-8 toolkit for the lab specialist, classroom teacher and homeschooler, with a years-worth of simple-to-follow projects. Integrate technology into language arts, geography, history, problem solving, research skills, and science lesson plans and units of inquiry using teacher resources that meet NETS-S national guidelines and many state standards. 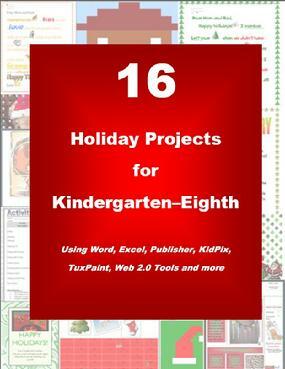 The fifty-five projects are categorized by subject, program (software), and skill (grade) level. Each project includes standards met in three areas (higher-order thinking, technology-specific, and NETS-S), software required, time involved, suggested experience level, subject area supported, tech jargon, step-by-step lessons, extensions for deeper exploration, troubleshooting tips and project examples including reproducibles. Tech programs used are KidPix, all MS productivity software, Google Earth, typing software and online sites, email, Web 2.0 tools (blogs, wikis, internet start pages, social bookmarking and photo storage), Photoshop and Celestia. Also included is an Appendix of over 200 age-appropriate child-friendly websites. Skills taught include collaboration, communication, critical thinking, problem solving, decision making, creativity, digital citizenship, information fluency, presentation, and technology concepts. 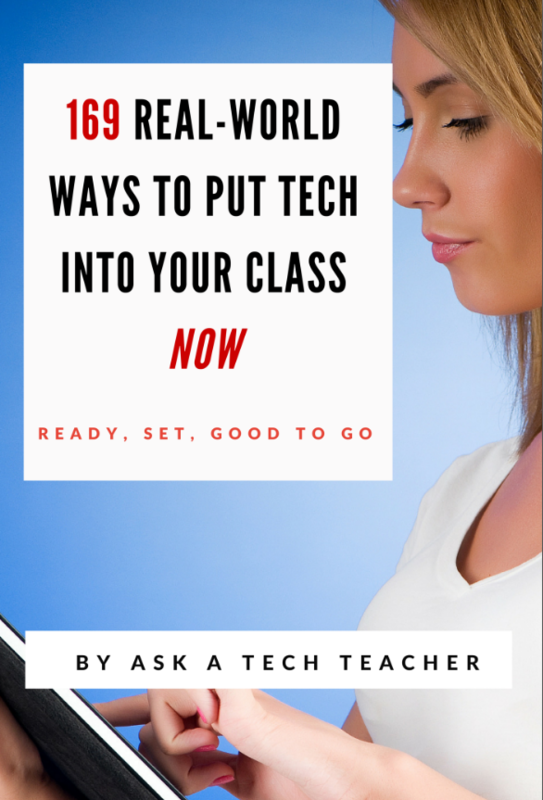 In short, it’s everything you’d need to successfully integrate technology into the twenty-first century classroom. Read. Set. Good to go. 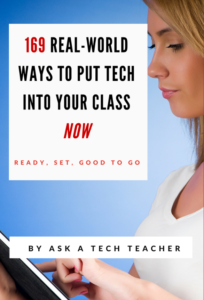 169 Real-World Ways to Put Tech Into Your Class Now (expected publication date: August 2016) provides 1) an overview of the tech topics most important to your teaching, and 2) practical strategies to address common classroom tech problems. Each tip is less than a page long–many only a third of a page. The goal: Give you what you need to know without a long learning curve. Topics include iPads, Chromebooks, assessment, differentiation, social media, security, writing, and more. This set of sixty-five posters is a varied collection you can use to share critical issues dealing with technology and education. 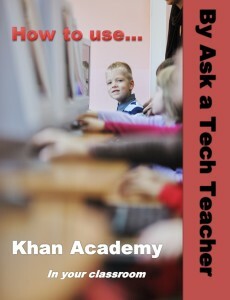 36 Articles on How to Put Technology into Your Classroom includes the 36 most requested 2012-13 tech ed articles from Ask A Tech Teacher© , a group of technology professionals who run an award-winning resource blog where they provide free materials, advice, lesson plans, pedagogic conversation, website reviews, and more. 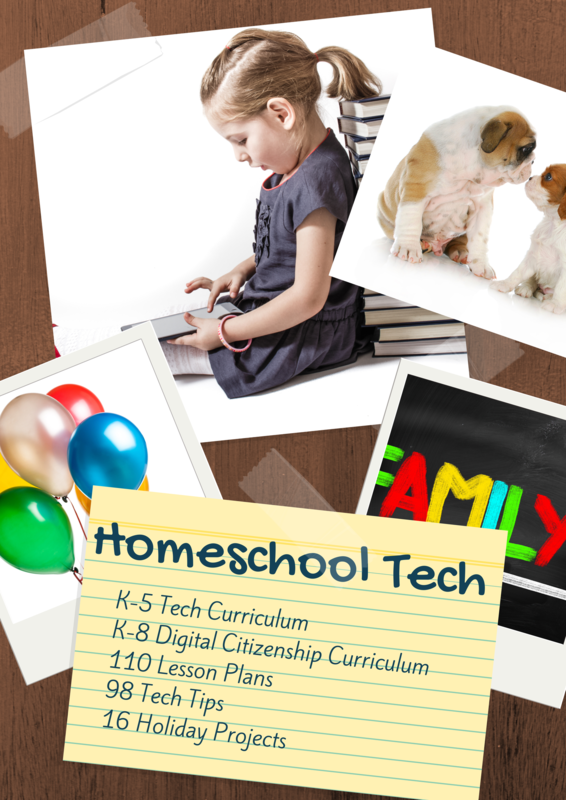 They cover critical topics like how blogging makes students better writers, the importance of social media to education, how to teach keyboarding the right way, why technology is important for all learners, what to include on the youngest child’s computer, using internet start pages in tech lab and more. Each article is quick (1-2 pages), pithy, and easy-to-understand. 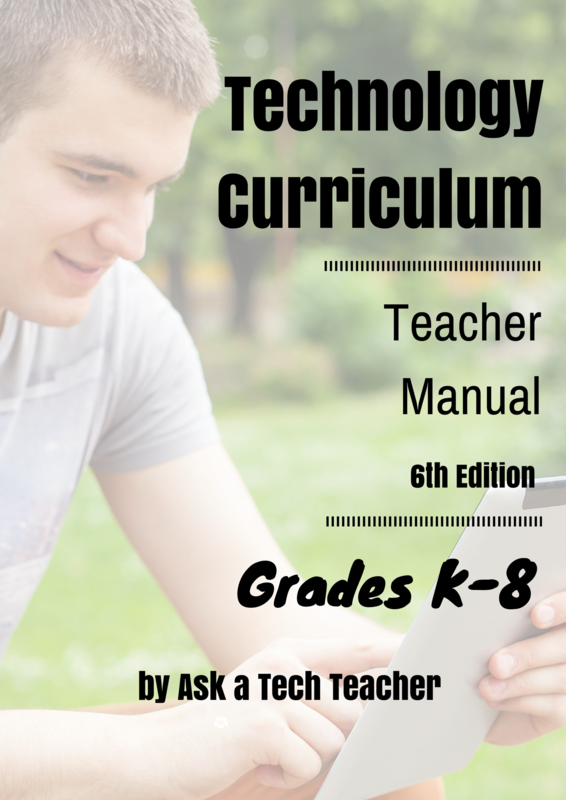 They’re written by a working tech teacher with fifteen years experience teaching technology to all age groups. 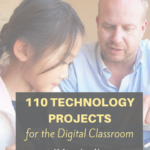 You may be the Technology Specialist, the Coordinator for Instructional Technology, IT Coordinator, Technology Facilitator, Curriculum Specialist, Technology Director or the technology teacher for your school—tasked with finding the right computer project for each classroom unit. You have a limited budget, less software, and the drive to do it right no matter the roadblocks. You may even be a classroom teacher, a subject teacher, intent on using the fabulous technology available to ramp up your teaching. Click the link. Check out what’s available. You’ll be thrilled. Each about thirty minutes, delivered in the comfort of your home, your backyard, or wherever you choose to watch. Delivered as a playlist organized by topic.